The Philippine Stocks Exchange Index closed at 7,120.48 this Monday, April 22, 2013. It was 27th record high for this year and this mark in the history is actually the 88th under President Noy Aquino's administration. Again, this is first time in the history of the Philippines stock market. Congrats to all Pinoy and all Filipino stocks investors. Happy investing. 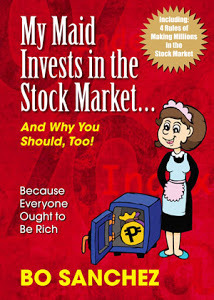 For easy stock market investing education and tutorials, you can try Bo Sanchez' Truly Rich Club. This is money back guarantee. You can try it for the first month, if you don't learn and if it doesn't interest you, you can easy ask their support for discontinuity of the program. But I beat, you'll keep the ball rolling and share it to other too. One of the habits I formed from joining Bo Sanchez' Truly Rich Club is the habit of reading, especially materials and news related to businesses and stock marketing investing. Before, I get fond of just reading the headlines plus showbiz and sports news. Now it's different. I usually go first in the business section rather that getting the details about showbiz and sports. Philippine stocks continued to rally, rising over 100 points to breach the key 7,000 level and close at its 27 record high this year due to strong foreign inflows amid low interest rates. The main Philippine Stock Exchange index breached the 7,000 level early in the morning session and surge in the late afternoon session boosted the benchmark to close up 163.38 points to a new all-time and closing high of 7,120.48. Banks and holdings firms led the bull run, boosting the index even though the service sector declined. The mining and oil sectors was also trailing in the red before a late rally allowed it to advance. “Prospects of an SDA (special deposit account) cut boosted investors’ confidence, pushing the index past the 7000 mark,” said BDO Unibank chief market strategist Jonathan Ravelas. Bangko Sentral ng Pilipinas, which meets April 25 to review policy, reduced the rate it pays on P1.9 trillion pesos in its special accounts by about half a percentage point each in January and March. The central bank isn’t ruling out a further cut in the so-called SDA rate and is “always thinking of additional measures” to manage liquidity, said Monetary board member Felipe Medalla last April 18. “The consensus is for the BSP to cut the SDA rate by another 50 basis points at this week’s meeting to bring down its cost,” said Philippine National Bank head of treasury Ricky Cebrero. 2TradeAsia analyst Freya Natividad said other drivers for the market's rally today include Wall Street's scent last Friday and robust first quarter 2013 earnings reports of Philippine listed companies. “The bulls are so confident of the fundamental prospects they have defied technical indications for an extended time, leaving bears limited time to dominate the market,” he noted. Thus, Calaycay said retreats have been short-lived – the longest losing streak being the eight-session 6 percent slide in the middle of March. In the 19 sessions since, the bears won in only seven, reminiscent of how the year started off the block. Here's another news from ABS-CBN business news. The Philippine Stock Exchange index (PSEi) on Monday morning breached the 7,000 level for the first time in its history. The PSEi stood at 7,009.13, up 0.75% or 52 points as of 9:52 a.m. Traders on the floor cheered as the main index reached another new high. As of noon, the PSEi stood at 7,032.96 up 1.09% or 75pts. Among the most actively traded stocks were BDO Unibank, Ayala Corp. SM Investments Corp. and Ayala Land Inc.
"I'm really surprised by the resilience and strength of the market. On the other hand, we're also expecting this. It just happened sooner than we were expecting it to hit 7,000. The market is getting a bit ahead of itself, in terms of price, it has gone up ahead of earnings... I think they're anticipating more earnings suprises at least for the banking sector," PJ Garcia, senior vice president at BPI Asset Management, told ANC. Last week, BDO surprised the market with its very strong first quarter profits - P10 billion. The Sy-led bank said it expects to hit a record P20.4 billion this year. Analysts had earlier expected the main index to test the 7,000 level this week, as investors position themselves ahead of the release of first quarter corporate earnings. Last Friday, the PSEi reached a new high, with the index up 1.45% to close at 6,957.10. Here's another news from Inquirer business news. The local stock market raced to new record highs on Monday, allowing the main index to breach the 7,000-mark for the first time, on optimism over first quarter local corporate earnings reporting season. The Philippine Stock Exchange index rallied by 75.86 points, or 1.09 percent, in the morning trade to 7,032.96. 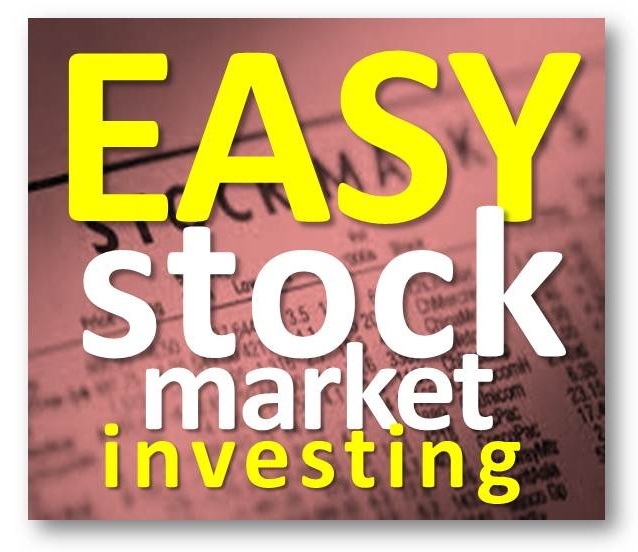 “The PSEi breached the 7,000 level and continues to be one of the ‘it’ markets of 2013. Bullish sentiment has taken over as first quarter earnings releases go into full swing,” said Mark Angeles, head of research at First Metro Securities. Some dealers said expectations that a second global credit rating firm may issue an investment grade rating on the Philippine sovereign as early as May also excited investors. The upcoming monetary setting of the Bangko Sentral ng Pilipinas on Thursday, whereby another hefty cut in the rates on special deposit accounts is widely expected, is also seen driving some yield-seeking investors to equities. SM and Ayala stocks traded higher in heavy volume in early session. SMIC (+2.22 percent) and BDO (+2.71 percent) were boosted by BDO’s record-high P20.4-billion profit guidance for 2013, of which P10 billion had been achieved in the first quarter.